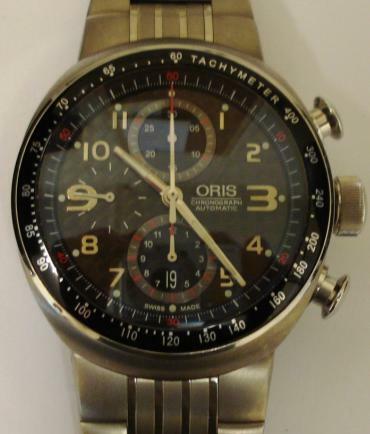 Stock Number: WWOR018 - Oris 7587 TT3 Titanium Chronograph Wrist Watch - £Sold. 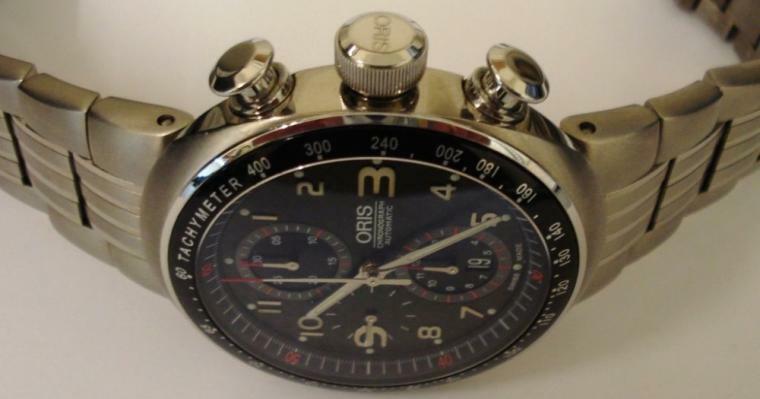 Oris 7587 chronograph automatic wrist watch in a titanium case with integral bracelet. Black tachymeter bezel with sapphire crystal over black patterned dial with luminous and silver metal arabic hour markers, matching hands and sweep seconds hand, with date display at 6 o/c. 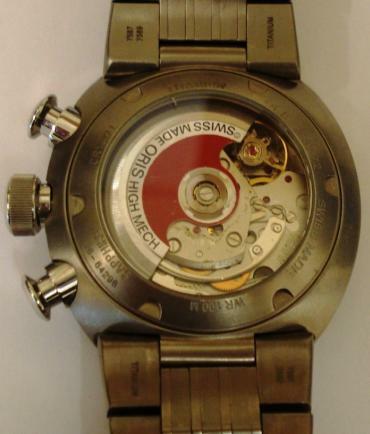 Swiss made Oris High Mech 25 jewel automatic movement, with screw down crown, case numbered 26-64298, water resistant to 100 metres.